A percussion series developed to meet the demands of modern marching ensembles. 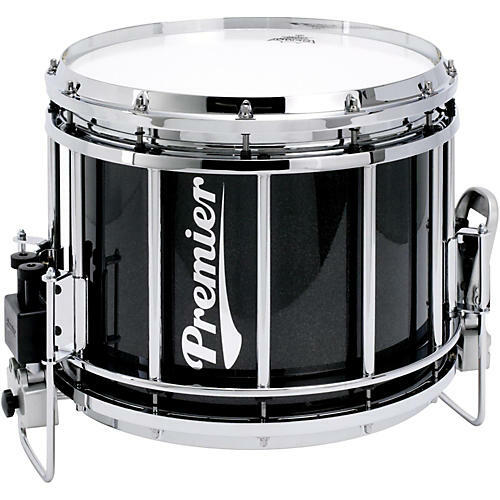 Starting with a 6mm, 6-ply birch free-floating shell for full, robust attack and reduced contact, this drum was engineered for all-weather drumlines and student applications. "Blasted Chrome" aluminum down tubes and a state of the art throw-off offer a sharp, classic aesthetic and reliable tune. These drums are finished with Cybermax batter heads by Remo USA, but the drums' standard suspension ring will accommodate seating for all manufacturers' drumheads.